We are one of the leading job sites on the internet dedicated to medical and Healthcare jobs vacancies. The jobs advertised are provided by some of the leading employers and recruiters based in London and throughout the UK. Our specialist areas include Medical, Healthcare and Scientific jobs in addition to also featuring some dental jobs, some social care vacancies and some other related healthcare vacancies including jobs in opticians, chemists and dispenser Jobs. As an established job board in the medical and healthcare sector we also carry vacancies from other leading medical sites that are sent to us to advertise on their behalf. 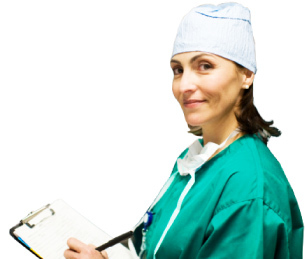 We are confident that you will find your ideal vacancy here online at medicaljobs.co.uk. The jobs featured are updated on an ongoing basis with the bulk of jobs updated by some of our partners during the early hours of each morning. If you dont find what you are looking for today please bookmark this page to return again as the jobs update, or register with us to use our jobs by email service.